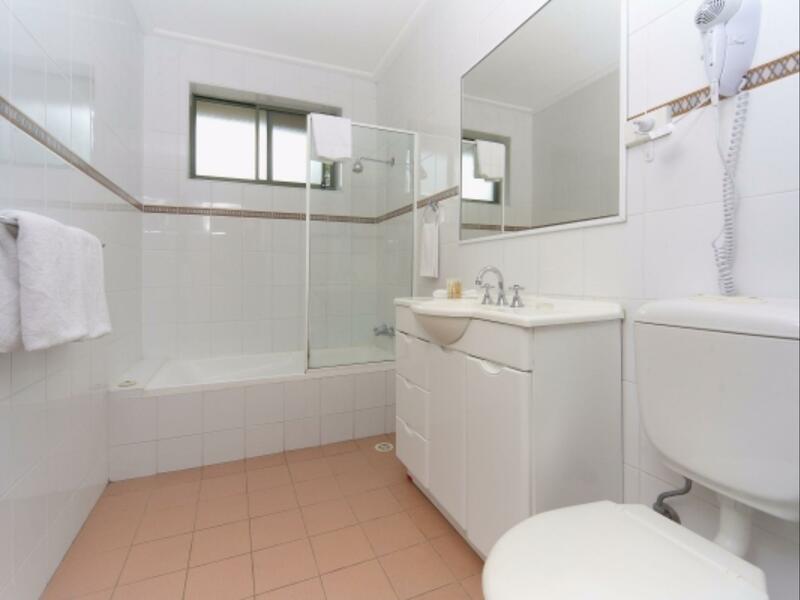 سواءً كنت مسافراً بغرض السياحة أو العمل, Waldorf North Parramatta Residential Apartments هو خيار عظيم للإقامة خلال زيارتك سيدني. يسهل الوصول إلى هذا الفندق ذو 3 نجوم من المطار، فهو يبعد عنه مسافة فقط. سوف يعشق النزلاء موقع هذا الفندق، فهو قريب من أهم المعالم السياحية في المدينة كمثل Cumberland Hospital, Parramatta Medical Centre, Pirtek Stadium . ببساطة كل الخدمات وأساليب الضيافة التي تشتهر بها Waldorf Apartment Group تجعلك تشعر وكأنك في بيتك. يقدم الفندق مرافق مخصصة لذوي الاحتياجات الخاصة, تخزين الأمتعة, صف السيارات, غرفة عائلية, مكان مخصص للتدخين لضمان الراحة القصوى لضيوفه. تتضمن كل غرف النزلاء وسائل الراحة والتسلية المصممة خصيصاً لضمان الراحة القصوى للضيوف. صممت خدمات الاستجمام في الفندق والتي تتضمن حديقة لمساعدتك على الاسترخاء والراحة. يشكل Waldorf North Parramatta Residential Apartments بخدماته الراقية وموقعه الممتاز، قاعدة مثالية للاستمتاع بإقامتك في سيدني. The apartment is average with no fancy stuff, no wifi, no air-con in room (but in living room), no clean up if you stay less than a week. It cannot be compared with other hotel or hotel standards as it is an apartment only. I stayed for 4 nights with no service at all but luckily what I needed was just a sleeping area. It is far less than what I expected from a 3-star rating. Please not to benchmark with this rating in Agoda be frank. Fully equipped kitchen. Quick check in and check out. Clean and tidy. The stay was pleasant. The place was well tidied. The check in process was quick. The kitchen had the necessary equipments. However, the drawbacks for the apartment was that the oven was not working, the lightings were rather weak and there was no air conditioner in the bedroom. Can become warm especially in the summer. Good. Other than insufficient wash rooms. Price is its strength. But location is bad, we could not spot it out until we came very close to it. room is old as well as its facilities. However, the balcony is well designed, it is really cozy sitting in a chair in the balcony in the morning. Room service is not available every day. The place was clean. Enough privacy. Good location. recommend if just there to sleep. 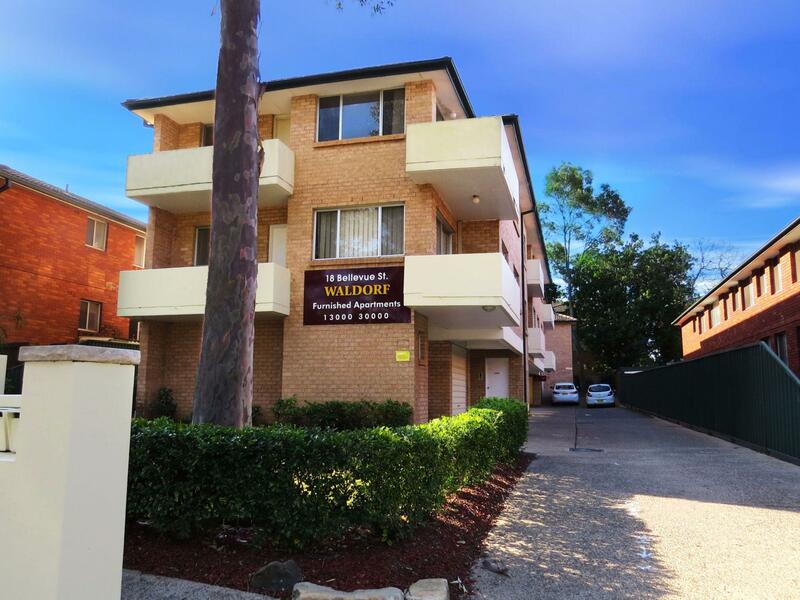 The Waldorf Apartments are in a quiet street with a park opposite and only a few minutes to the Parramatta Westfield shopping centre. The apartment itself was not the most modern, but it was very comfortable and extremely well priced. We would definitely stay there again.